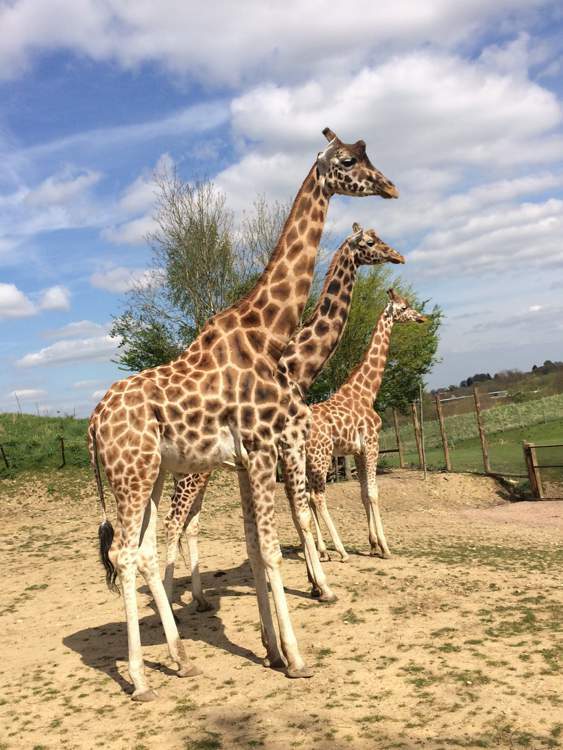 Combining an awesome Theme Park with over 40 rides and attractions, and a zoo with more than 1,000 animals to see, Chessington World of Adventures Resort is a fantastic day out for the whole family. The theme park is organised into 10 themed “lands” such as Mexicana, Wild Woods and the Forbidden Kingdom - each one offering several rides and attractions to enjoy. A thrilling bat-themed rollercoaster in the Wild Woods land which gives you the chance to fly, twisting and turning like a bat in flight - legs dangling free below you. It’s an exciting ride - but with a height restriction of just 1.1m, the kids can fly too! 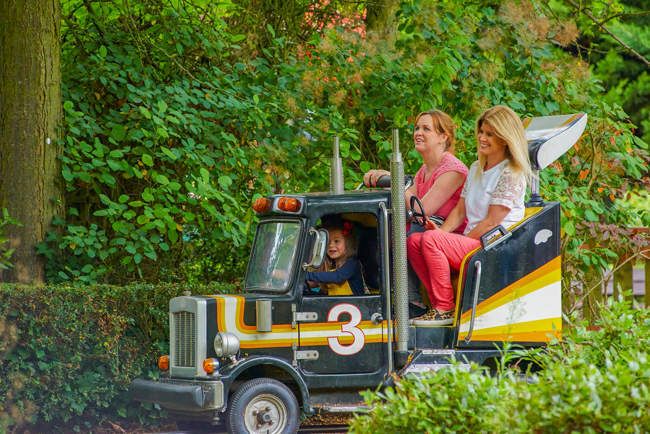 Always a family favourite - the Scorpion Express is Chessington’s take on the popular “runaway train” ride. Perfect for the children’s first proper rollercoaster. They’ll love it (and so will the grown-ups). A peaceful boat trip along a winding river - what can possibly go wrong? Oh that’s right - it’s got the word “falls” in the name - so you’re guaranteed to get very wet when you reach them! Cover up and try to stay dry (you won’t succeed) - or enjoy cooling off on a hot day - Dragon Falls is a flume ride everyone will love. If a straightforward rollercoaster isn’t exciting enough for you, then ride the Rattlesnake - which twists and turns like a rollercoaster, but also spins like a waltzer - so no two rides are the same. Swap seats for your next ride to really mix things up! 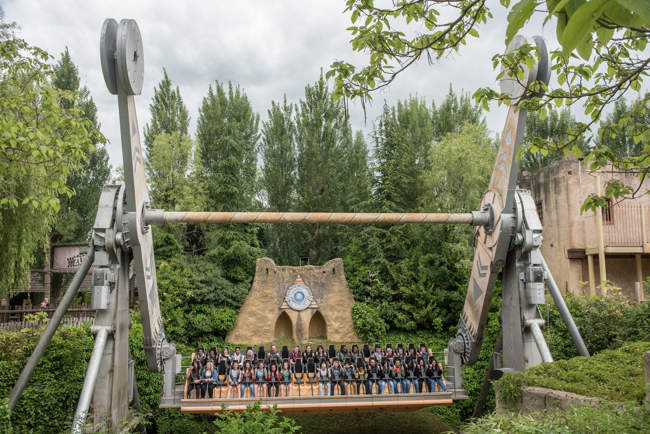 If you’re a fan of the children’s book The Gruffalo, you’ll be thrilled to know you can now experience the world’s first Gruffalo* themed ride at Chessington! You and your family can enjoy a picturesque riverboat journey in the deep dark wood in the company of Mouse. *© 1999 & TM Julia Donaldson and Axel Schiffer. 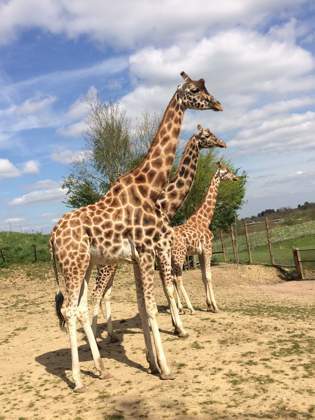 Licensed by Magic Light Pictures Ltd.
With more than a thousand exotic and exciting animals to see, including Tigers, Gorillas, Monkeys, Sealions, Penguins, Zebras, Giraffes and Lions, Chessington Zoo is a fantastic day out in itself. 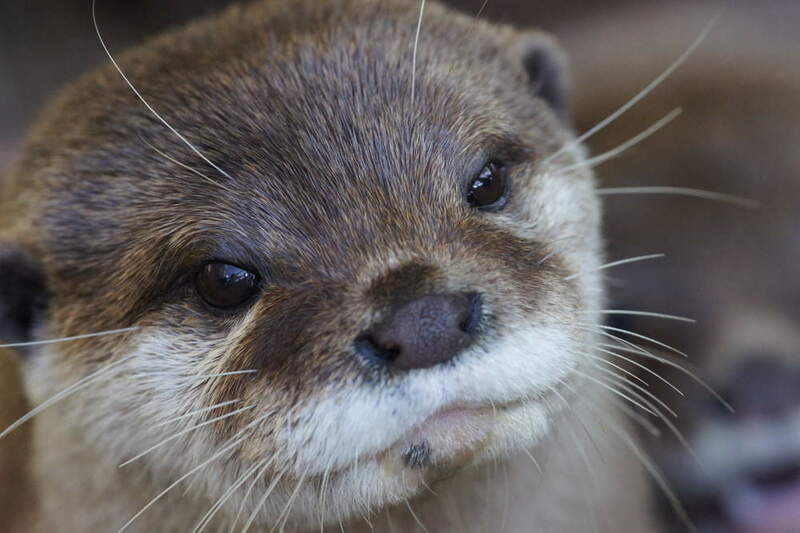 Zootastic Weekends are a great chance to visit the Zoo and the Sea Life Centre out of season, when the rest of the park is closed. 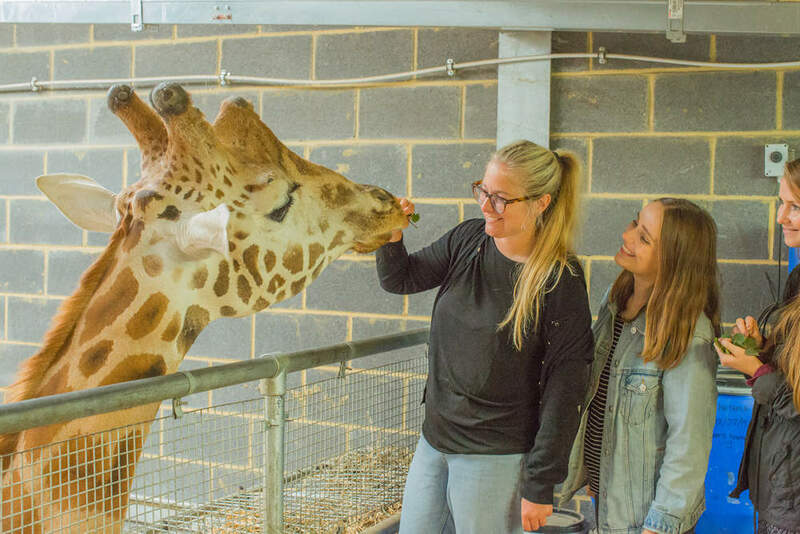 The weekends are great value, and include an overnight stay for up to two adults and three children, full access to the Sea Life Centre and Zoo on both days, animal meet-and-greets, Giraffe & Zebra tours, the zoo keeper training camp and more. 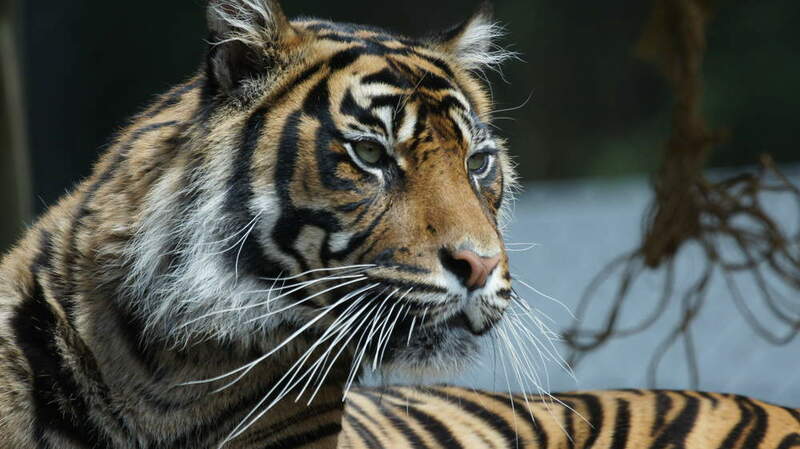 (Some activities such as the zoo keeper training camp must be booked in advance). 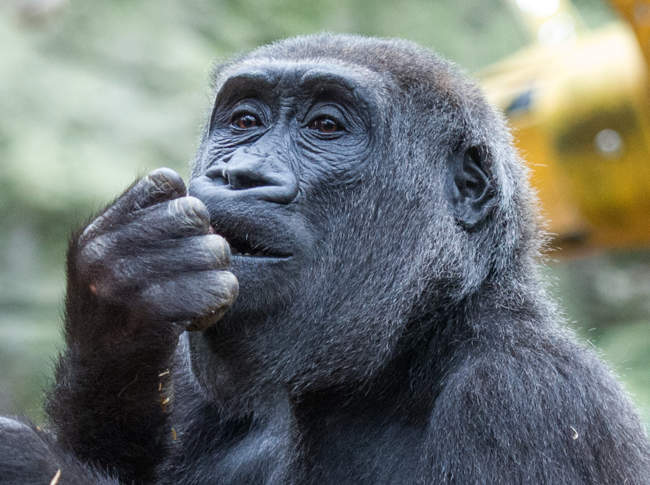 Only available as part of a Zootastic Weekend stay, the Zoo Keeper Training Camp lets visitors meet real zoo keepers, and learn about their work with the animals. There’s games and quizzes and the chance to make puzzle feeders - the best will be given to the animals on the day! 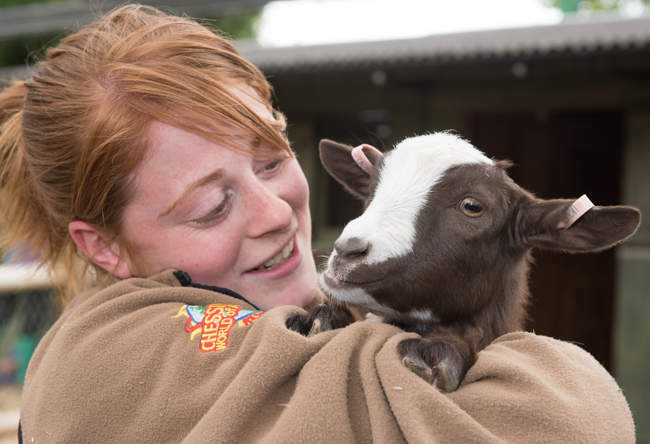 Trainee zoo keepers will receive a “Junior Zoo Keeper” lanyard, badge and certificate. Zoo Days are selected days out-of-season when the main park is closed, but you can still visit the Zoo and the Sea Life Centre. Check the website for the date of the next zoo day. You can choose to be a sealion trainer, put a rhino to bed with Rhino Snores, feed the giraffes, or take a very special Behind the Scenes Animal Tour. VIP Experiences must be booked at least 7 days in advance. 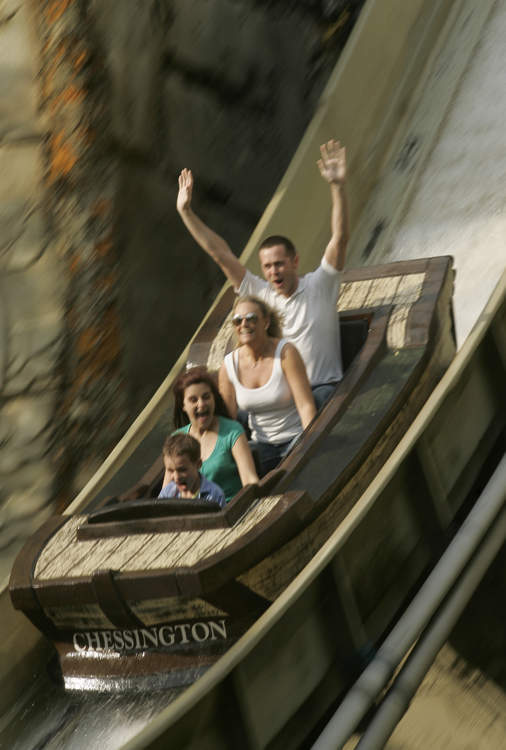 One of Chessington’s most popular attractions is the wide variety of Daily Shows. 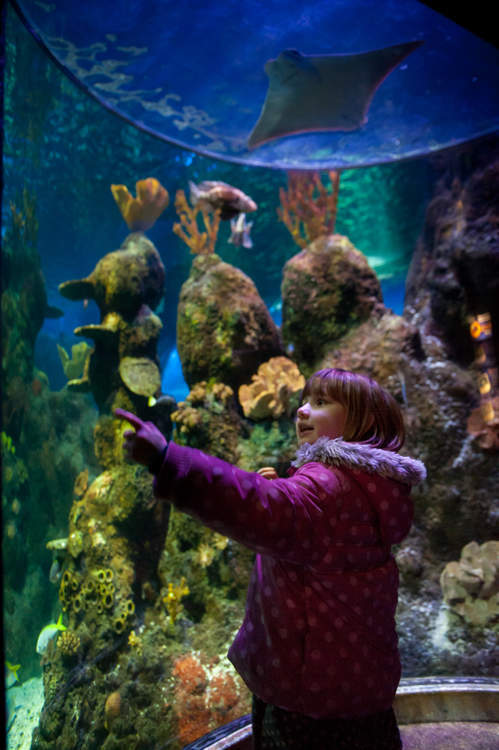 Explore the exciting world under the sea at Chessington’s own Sea Life Centre. Showcasing the fish you can find around the coast of the UK, including crabs, urchins, seahorses, starfish, rays and anemones. Displaying the beautiful corals and colourful tropical fish that live among them in this fragile and endangered marine environment. See clownfish (like Nemo), cleaner shrimps, regal tangs and even upside down jellyfish. Home to the brightly coloured cardinal tetras, and also to the menacing piranhas. You’ll also be able to see a variety of exotic frogs, and archer fish who can shoot down their unsuspecting prey. See some of the most exotic species including sharks, pufferfish, angelfish and lionfish. This area also includes the highlight of any visit to the Sea Life Centre - the amazing underwater tunnel which lets you walk among the fish as they swim around and above you - a magical experience. 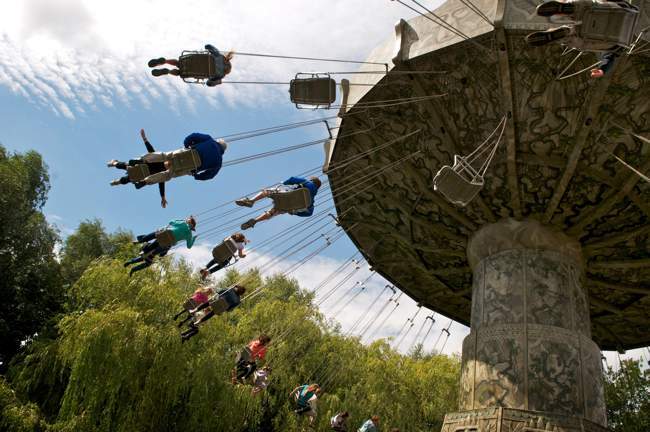 Go Ape at Chessington gives you the chance to experience your own treetop adventure. And as it’s situated in the Explorer car park, you can visit Go Ape separately from Chessington World of Adventures if you want to. Open to children as young as 6 and at least 1m tall, Tree Top Junior provides exciting and challenging obstacles suitable for younger visitors. With a zip line to look forward to at the end of the course, and a certificate when they complete it, your little ones will be proud of their brave adventuring. Parents can complete the course along with their children, or simply encourage them from below as they spend an exciting hour in the trees. Check out the video - to see if you’re up to the challenge of Going Ape! Children over the age of 10 and larger than 1.4m tall can choose to take up the challenge of the Tree Top Adventure. This will take 2-3 hours and includes rope ladders, Tarzan swings, a unique four man zip wire, and lots more challenging obstacles. 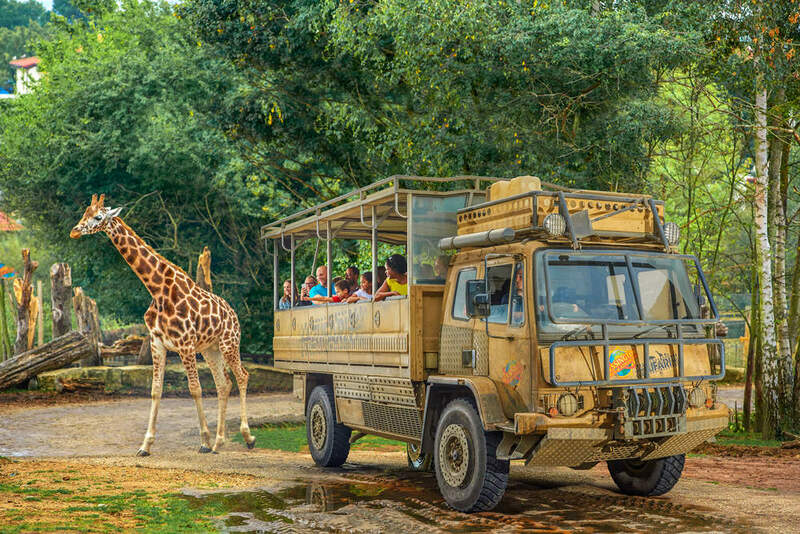 The only problem with a day trip to Chessington World of Adventures is that a single day simply isn’t long enough: Chessington is at leat three attractions in one: Theme Park, Zoo and Sea Life Centre - (four if you count Go Ape) - so it’s impossible to fit everything into one day. 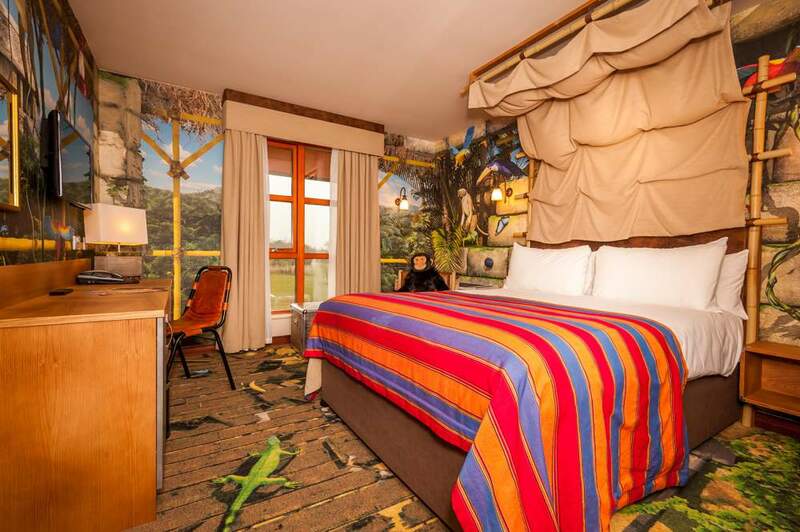 Explore Aztec temple ruins in this beautifully themed hotel. The restaurants are interactive and continue the Aztec theme. There are three different room themes, and kids have a separate sleeping area. Your stay includes a free 2nd day at the Theme Park, Zoo and Sea Life Centre, and exclusive Early Rider access to Vampire, the Gruffalo River Ride and more. 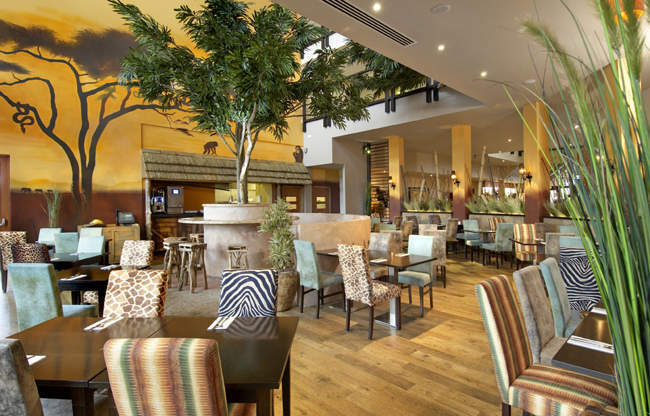 Journey into Africa at Chessington’s Safari Hotel. With safari themed bedrooms and restaurants, this is a great hotel to keep the magic of your visit alive. There are even fully-themed Gruffalo bedrooms! 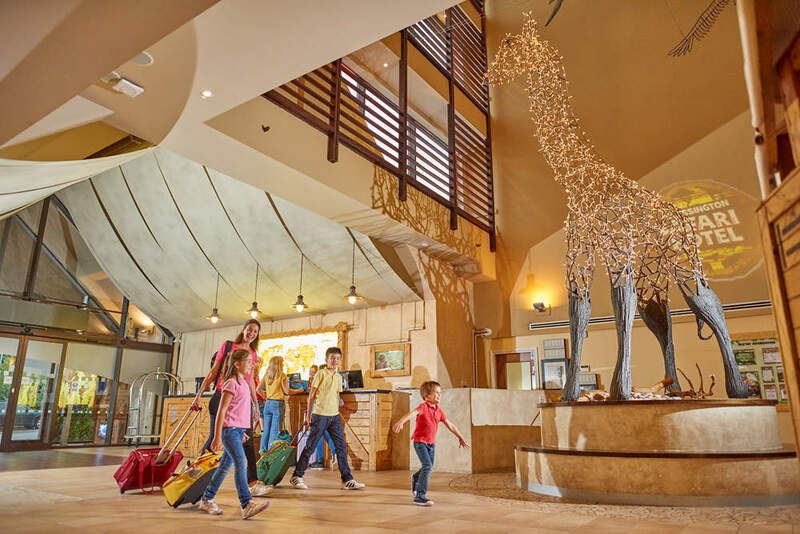 Once again your stay includes a free 2nd day to enjoy the Theme Park, Sea Life Centre and Zoo, and Early Rider access to the Gruffalo River Ride, Vampire, and others. Fancy camping, but want something a little more glamorous? 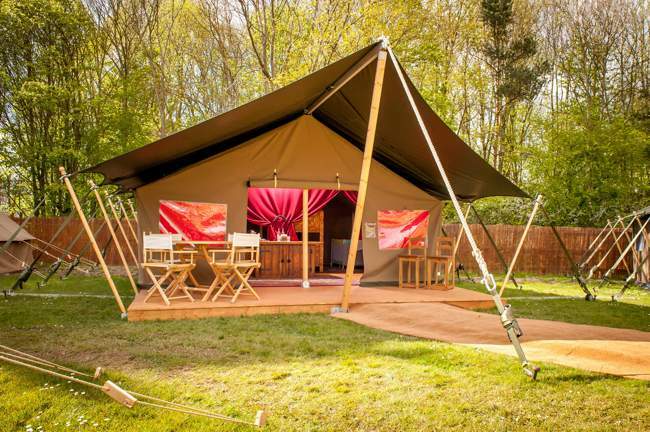 Try Glamorous Camping - known as Glamping! 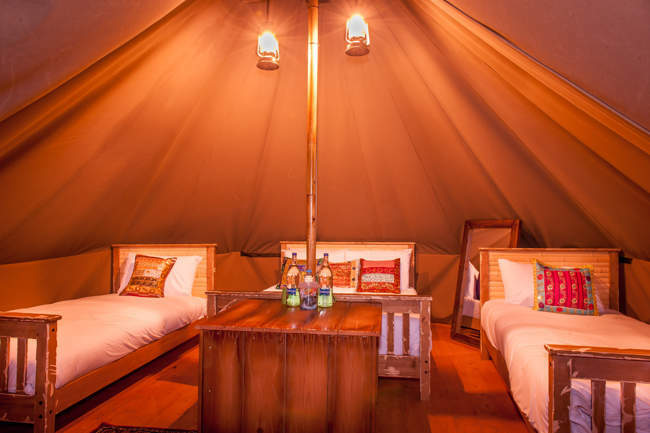 The kids will love the excitement of sleeping under canvas after their exciting day, and the grown ups will love the real beds, wooden floors, power sockets and free WiFi. 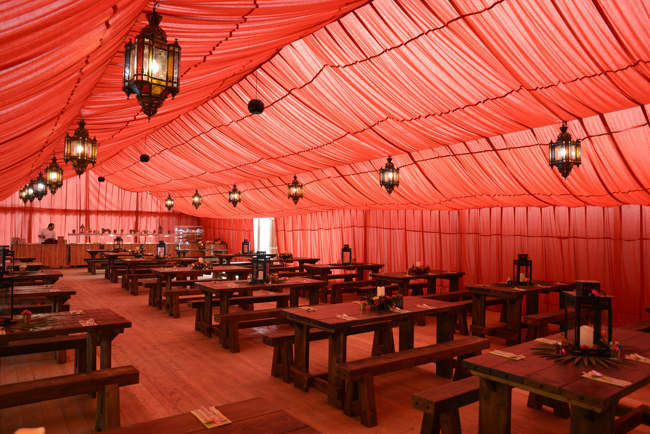 And you don’t even need to crouch over a camping stove to make tea - there’s Explorer’s Outpost - a themed restaurant exclusive to the Glamping area. There’s even access to Wild Asia after the park closes! Also included is Glamping Fastrack which gives you an hour of Fastrack entry to selected rides for the first hour of the day (weekends and school holidays only). Q. Can we visit just the zoo? A. During the main season, no - tickets include access to both areas (though of course you’re free to stay in the zoo area if you prefer). Out of season, Chessington offer “Zoo Only Days” at a lower price. Q. What’s the best way to get to Chessington? A. Chessington is easy to get to. By car it’s just 5 minutes from the M25 Junction 10, and parking’s only £3 per day. By train, go to Chessington South Station, which is only 10 minutes walk from the park. By Bus, the 465 from Kingston or 467 from Epsom, both go to Chessington. A. No, except for Guide Dogs and Assistance Dogs. Q. Can we bring a packed lunch or return to our car during the day? A. Yes - get a hand stamp on the way out, and you’ll be allowed back in to the park. A. Sensible clothing and footwear - bearing in mind the fact that you’ll be outside for much of the day - and taking the weather forecast, and the fact that it could be wrong into account! Shirts and shoes must be worn on the rides. Q. What happened to Bubbleworks? A. After 26 years of making visitors happy, Bubbleworks has been closed down to make way for exciting new rides. 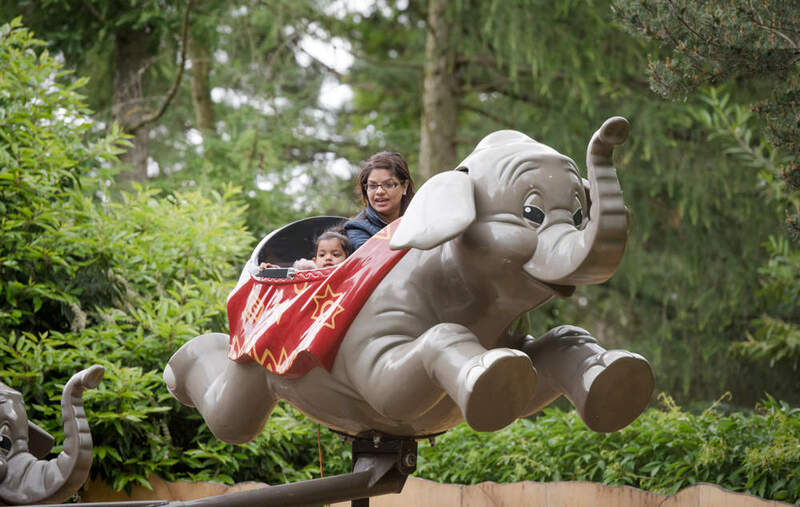 Each ride at Chessington has its own height restriction - but there are lots of rides available even for little ones below 0.9 metres tall. 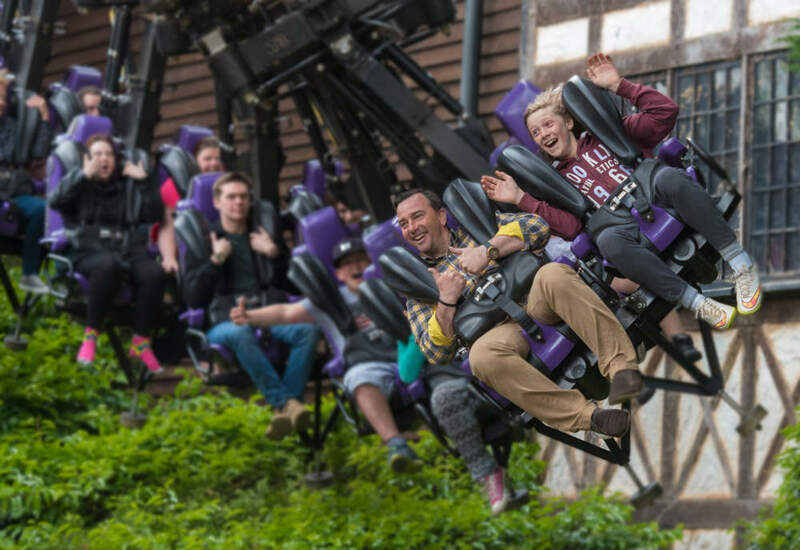 The tallest you have to be for any ride is 1.4 metres - for Rameses Revenge and Rattlesnake, so if you’re taller than that, you won’t face any height restrictions. 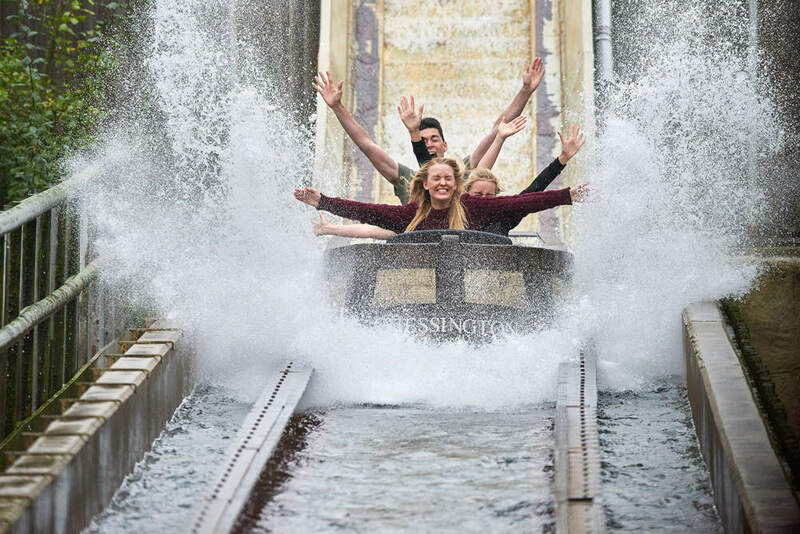 Get access to Chessington and 31 other top UK attractions including Thorpe Park, Legoland Windsor, Alton Towers, The London Eye, Madame Tussauds and many more - for a whole year! If you just want access to Chessington, the Chessington Pass is great value, as lasts a whole year - and it’s cheaper than two full price entry tickets! So as soon as you visit for the second time within a year - you’ve already saved money. With 20% off eating and shopping, and other perks - it’s great value. Good value if you have children aged 5 and under - this pass lets an adult and child visit at off-peak times throughout the year - and costs the same as an individual annual pass. Chessington World of Adventures offers a Rainy Day Guarantee: If you have a dated ticket, and it rains continuously for more than an hour on the day of your visit, you can claim a free day ticket to visit later in the year. (Does’t apply to Open Dated Tickets - as they already give you the flexibility to re-arrange your visit if the weather forecast is bad). Don’t forget, if the weather isn’t perfect, there will probably be shorter queues! Chessington World of Adventures is open from 17th March 2017 to 31st October 2017, with selected Zoo Days during the winter. 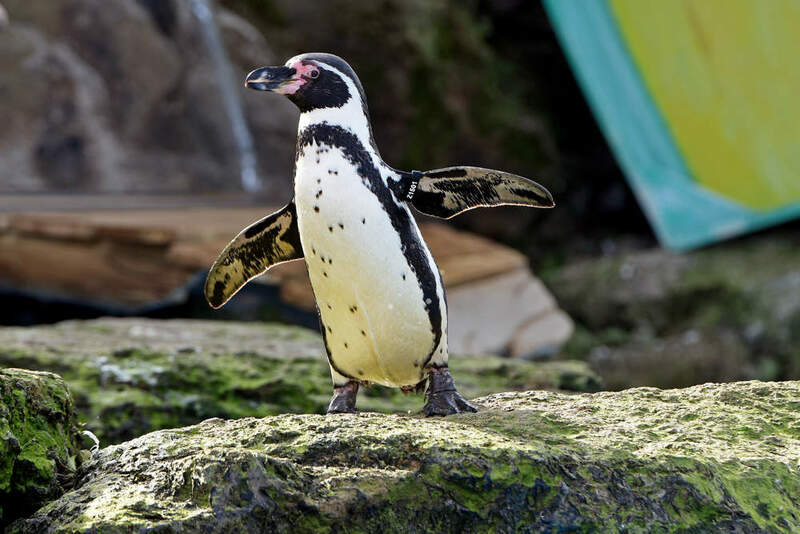 Chessington Zoo and SEA LIFE Centre is also open at weekends during the winter. Children under 3 go free. See the Chessington website for the ticket prices for the date of your planned visit. 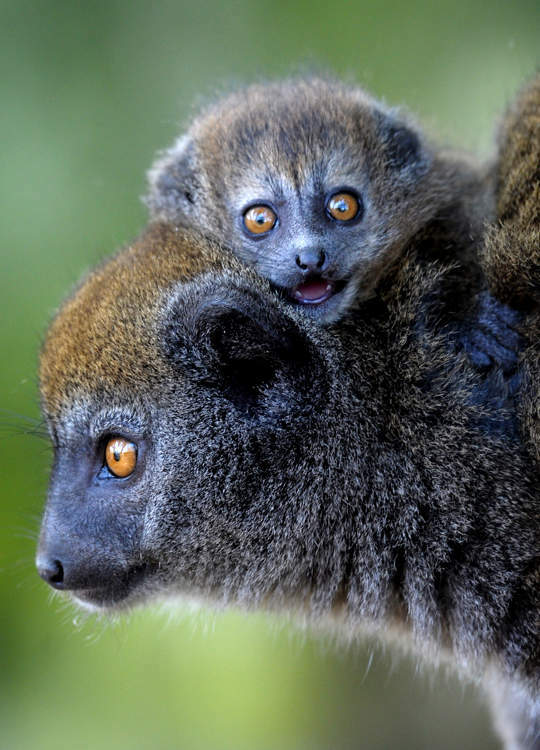 Special rates apply on Zoo days, and Animal Adventures. 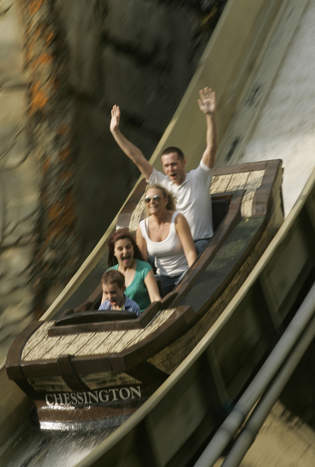 Chessington is included on the Merlin Annual Pass. 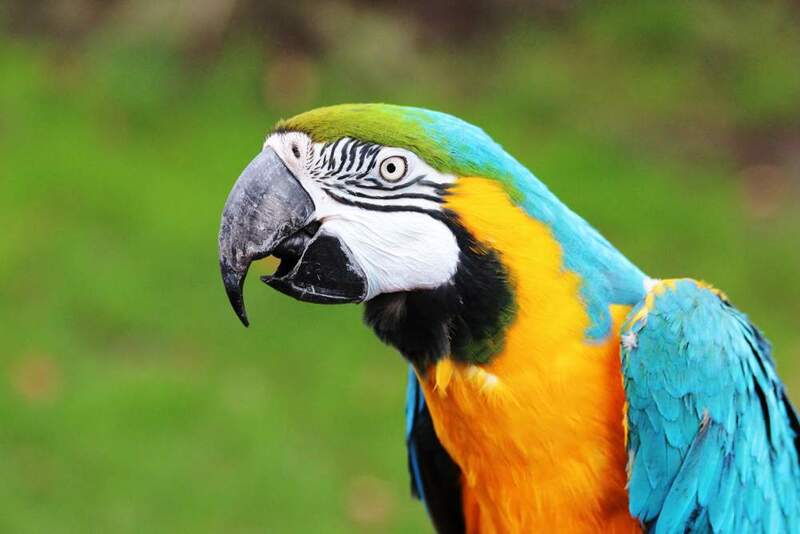 Chessington is situated 12 miles from London on the A243, just 2 miles from the A3 and M25 (junction 9 or 10). Car parking is free. Regular South West Train services run from Waterloo, Clapham Junction and Wimbledon. Take the train to Chessington South Station. The park is approximately 10 minutes walk from the station. Chessington is served by a regular bus service. Take the 465 bus from Kingston to Chessington, or the 467 bus from Epsom to Chessington.